The Geekset Crew drops off a Greatest hits of 2017 for your listening pleasures. Stroll down Memory lane when Lib confessed his love for The Little Mermaid, every time Deuces had a theory, SPIDER MAN EYES, Bacardi's happiness over Batman be Human AF & More! 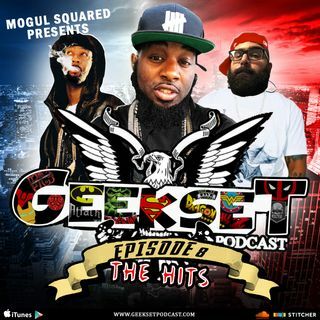 We appreciate everyone who has been apart of the Geekset Community and we look forward to providing more content, entertainment, merch and material in 2018.